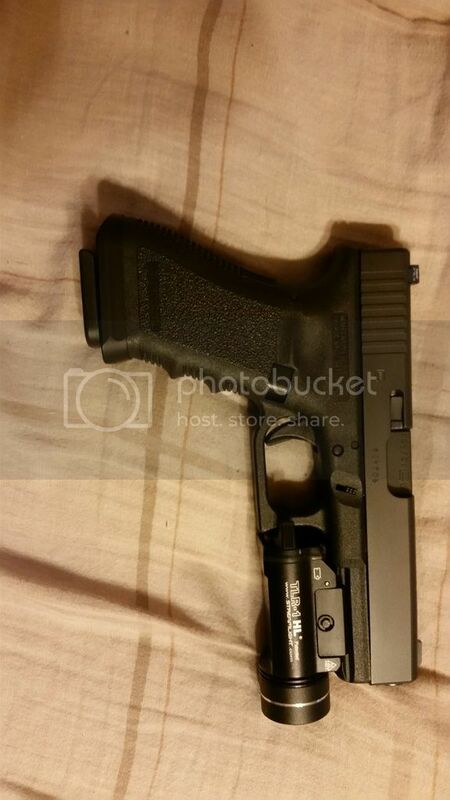 I have a low round round count glock 22 with some extras I am looking to trade. It is a Gen 3 with a round count of under 200, all factory ammo. It has a zev tech extended mag release and slide cover plate, an agency arms magwell and a streamlight tlr-1 as well as trijicon night sights. Everything else is factory. I am setting a trade value of $650. I am primarily looking for a 4x-6x optic for an ar, make or model not important as long as it is 4x-6x, in very good condition and is of equal trade value. Also interested in complete uppers and other handguns as well. I am willing to put cash on top for the right deal, however, I am not looking to add more than $200. I may be open to other offers so don't be affraid to throw them out. I will get pics up shortly, until I do you can email me for pics. Im/Email or text at 8602029096 for info/questions/offers. Thanks for looking.